There are 9 different species of hammerhead shark worldwide, ranging from 3 ft to 20 ft in length. They are not commonly known to attack humans but can be aggressive if a human comes into contact with it. The flat-shaped head allows it to detect prey more easily. 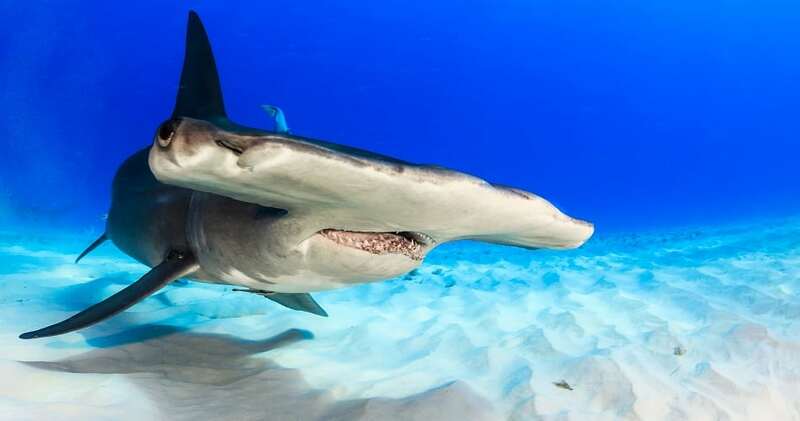 Hammerhead sharks are thought to use sonar waves detection in a similar way to their five main senses, so they actually have a sixth sense.